In a world driven by the stream of media, Fourculture brings you those moving against the tide and by doing so are changing the stream itself. who we are THE ARTIST D The Artist D has been performing online since the mid 1990s; a relic from the cam show age before social networking was a network, advocate for the rights of the underground, author, painter, columnist, raconteur, provocateur and host of The Fabulous D Show, a radio show broadcast weekly for anybody with a brain in their head. Catering to the freaks, geeks and black sheep of society, he makes the extraterrestrials of culture feel right at home on planet Earth. SERENA BUTLER Serena “Rena” Butler marches to the beat of a Linn LM-1 Drum Computer. Currently, she remains in a virtual time warp looking to hit that day where replicating a DeLorean time machine becomes reality. Sadly, it has yet to occur; she remains in the current year here to bring you the latest noise making waves in the four pillars of culture. When not working on the magic behind these pages you can find her rummaging the local independent record shops for CDs and vinyl, trying to get past the second level in Michael Jackson’s Moonwalker game for Sega Genesis, or mastering The Force just from watching the Star Wars trilogy. KATHY CREIGHTON Kathy Creighton, a.k.a. Mama Kath, is on a magical mystery tour of current fine, literary, and performance art and wants to bring you along for the ride. How? Besides watching, reading and listening, Kathy sits down with these creators and discusses everything from what inspires them to where their journeys began to how to fix the current A&E industry. She asks the questions you’ve been waiting for someone to ask. DEREK O’NEAL “You have to hear this song” is a phrase you’ll often hear from Derek. His fierce music obsession began at a young age, an age when playlists were captured on cassette off the radio with TLC and Soul Asylum in heavy rotation. As a writer, Derek has been sharing his stories since he was old enough to hold a pencil, which is a big deal since he really dislikes pencils. Derek now educates the masses with a combination of things he loves most: music and writing. 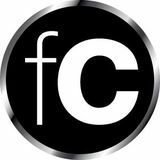 Today, you can find Derek scouring the web for fresh sounds that both inspire and entertain. Sometimes he takes breaks for coffee and sleep. ANN MARIE PAPANAGNOSTOU Ann Marie likes to make things pretty. This award-winning designer loves to lose herself in the creative process and is psyched to work alongside amazing individuals who fuel her artistic fire . . . and tolerate her fierce coffee addiction. She is most content with a beverage in one hand and a mouse in the other. PAULA FRANK Writer, painter, music lover, dreamer; Paula’s everchanging Pisces spirit rolls with whatever the tides bring her. Constantly in pursuit of the beauty of art in all its forms, she pours her love for human connections into everything she does, be it writing fiction, interviewing her favorite musicians and artists, painting an emotion, or sharing time with the people she loves. This small town girl has great big dreams and strives to make them reality. She is thrilled to offer them to you, the readers and fellow dreamers. After all, what good are dreams with no one to share them? FELICIA C. WATERS Born and raised in NYC, she began her lifelong love affair with music the moment she first heard T Rex. Throughout her life music has always been there...the steadfast friend with no judgment, always accepting. It nourishes, it angers, it heals and it makes you feel embraced. It is a part of her just as a limb or a lung. If she can bring any of those feelings to people through her writing, not only does she feel she’s done her job she feels like she’s given them a gift. Writer, attorney, wife, and mother of three boys in a bicultural interfaith family, Marguerite isn’t one to shy away from a challenge or decline an adventure. A semester in London studying art history and Shakespeare sparked her life-long passion for music and all things art and law school sharpened her natural abilities for research and communicating. Hoping to show her boys how it’s done, Marguerite has set out to use the things she’s good at, to communicate about the subjects that fuel her passions. For the reader that might mean interviews with awesome indie artists one month and reviews of their latest works the next. For Marguerite it means lots of words, art, solitude and coffee. And happiness. For the last 33 years, the CMJ Music Marathon has become the “world’s most important platform for the discovery of new music.” From October 15 - 19 hundreds of artists descend on over 80 venues in NYC to show the world they have what it takes to become the next indie breakout. Come to Rockwood Music Hall on October 18 from noon – 6 PM EST and check out these wicked awesome artists. Be there when the next big thing breaks! Pearl and the Beard is a Brooklyn-based trio that’s “three voices, onecello, one guitar, one glockenspiel, one melodica, several drums, one accordion, ninety-six teeth, and one soul.” The members of this unconventional trio — Jocelyn Mackenzie, Emily Hope Price and Jeremy Styles — are talented vocalists and instrumentalists on their own who together, create magic. They combine perfect harmonies and unique instrumentation with boundless amounts of energy to create the unique awesome sound that is Pearl and the Beard. The group is currently working on their third full-length album. The three of you met while playing at different open mic nights in New York City. How did you decide to start playing together? Was there something about the others that “clicked” for you? Jocelyn: I didn’t even know open mic night was happening. I was there for happy hour! Jeremy was so talented I couldn’t help but listen. We began talking afterwards and he asked me if I wanted to borrow his guitar and play. I told him I don’t play and he said he was looking to collaborate with a female singer. I almost didn’t tell him that I sing. Emily: I was at an open mic performing a solo song when Jeremy and Jocelyn approached me and told me they were interested in working with me and including me in their new project. It took some time to acclimate to each other’s musical style and taste, and though it can still be a challenge at times, we are truly collaborative and communicative about the good and the bad, which makes this project truly rewarding. thing comes out — it’s always surprising to me. Joce: We work very hard to make sure that all of our voices are heard, as well as our collective voice. The work is hard, but it is very rewarding. Lately, there’s been this so called movement in music where you need every computer enhancement under the sun. Let us be the ones to tell you that is not the case anymore. All you need to make some beautiful music is one guy, one piano and a story to tell. At CMJ 2013, you can see that one guy, his piano and those stories on display through the artist Jacob Snider. Jacob has been making waves through the industry this year through numerous outlets and leaving a bright shockwave through the listener’s minds along the way. We are lucky enough to have had a couple of words with Jacob before he hits the stage just to see what makes him the artist he really is. So sit back and enjoy the show. This is Jacob Snider. Your music possesses some great piano driven rock melodies. When did you learn to play the piano? What is it about that sound that defines you as an artist? When I was five, someone named Jodie Brown would come to our preschool. Every week she played and we sang around the piano. I started taking lessons with Jodie, and then with Carl Bradley until I was 18. At Columbia, I studied with Ben Waltzer. There is nothing like a real piano. For the first time, though, I am exploring recording with many different sounds; the piano just one of many, and not necessarily the driving force. The question of what a song 'calls for' in recorded form is complex & exciting. And sometimes terrible. And sometimes rewarding. This year you’ve picked up quite a bit of momentum in getting your name out there. For one you were named BMI’s Pick of the Month for April. How has this year made a mark on you? How do you pick it up for 2014? I am building new music with collaborator Armand Hirsch & producer Tony Berg at Zeitgeist Studio in Los Angeles. We are making a full record. It is rewarding. For someone who is still very young, your music is that of an experienced lifelong storyteller. When it comes to writing music, where do you get your inspiration? I will list what I can see from where I sit. The Collected Stories of Lydia Davis. Regarding the Pain of Others by Susan Sontag. Consider the Lobster, David Foster Wallace. Portrait, James Joyce. Music these days is Nick Drake, Jesca Hoop, Björk, Andrew Bird, Cocteau Twins, Dirty Projectors, Marvin Gaye, Peter Gabriel, Fiona Apple, Blake Mills. I also feel inspired and hopeful watching & listening to Astra Taylor speak, and reading The New Inquiry, based out of New York. According to your bio, you’ve stated that you have a love of the human mind. What is it about the human mind that you love? How does that love play into your own creative work? I love some human minds. I was referring to the mind in general, the capacity to think & imagine. Think Different, do you remember that Apple campaign? What does appearing at the CMJ music marathon this year mean to you and why? I am grateful to Ear Candy Podcast & Holly Garman for inviting me. Armand Hirsch & Kate Davis & I will be the group. This is the first time with this arrangement, and with this new music. The Fabulous D Show OPINION. SURREALISM. EXTRATERRESTRIALISM. Creative results for brilliant musicians and industry giants. New Yorker Charlene Kaye has chosen to follow the dance-pop muses, not an easy road especially in today’s music industry. She has built an impressive resume after hitting #15 on the iTunes pop chart with her latest album as well as playing with Minus The Bear and Big Boi, recording with Darren Criss and maintaining a YouTube channel that has garnered a million views. Kaye has not gone unnoticed by the press either. With attention from heavy music press hitters like VH1, Huffington Post and Glamour magazine along with powerhouse blogs such as Idolator and TimeOut New York, her name and music are circulating. All of these outlets note the quality of her brand of pop. With the Kickstarter she did to produce and release her sophomore album Animal Love, Kaye raised over $30K with over $20K of it coming in in the first five days. Still an independent artist, Chalene is gearing up to play this year’s CMJ Festival at New York City’s Rockwood Music Hall on October 18. It is courageous enough to take on the pop world as an independent artist. How has it been as an Asian-American female? I guess I've always gone to American schools or lived in America, so I don't really think about it. However, there aren't a whole lot of us represented in pop music, so it makes me want to work that much harder. You started in Hawaii and are currently based in NYC. What other stops have there been on your journey? After Hawaii I moved to Singapore, spent 2nd and 3rd grade in Hong Kong, moved back to Hawaii, finished high school in Arizona and then went to University of Michigan. Now I'm based in New York, which I absolutely love. Who are your major influences? Oh man...I love Queen, St. Vincent, Niki & the Dove, 90s hip hop, fuzzy guitars, big beats, glam rock, unabashed pop. I saw the Beyonce Experience in 2006 and it kind of changed my life. I don't think a day goes by where I don't think about Beyonce. Are you coming out with new music soon? Yes. The shows we've been playing live lately have been almost entirely new material. I'm a notoriously sentimental person, but I often when it comes to music I sort of unwittingly adopt this "kill your darlings" mentality where I'm up and going on to the next thing, often before the last one is finished. With Animal Love, I had toured on that material for a year before the album even came out. Then I toured on that for another year. But I'm more excited about this new music than I have been about anything I've done so far, and chances are I'll feel the same way about what I do after that. Onwards! What do you want people to take away from your shows? I want people to leave feeling electrified, like they've gotten the wind knocked out of them. What is your songwriting process? I've been thinking a lot about the phrase "Style is the product of your limitations." I've always been influenced by a huge array of music and it's usually a big challenge for me to pare it down and focus on one thing at a time. This time I'm disciplining myself to work within a more contained space by making little rules for myself — start with rhythm, only these few guitar tones, only these synthesizer sounds. Starting with rhythm was inspired partly because I wanted to play with two drum kits live, and it's yielded really interesting results so far. I wanted to challenge myself to take the exact opposite approach of what I'd done in the past — create the drum pattern first, then lyrics, then melody. What was it like working with Darren Criss? You know that movie that came out in the early 2000s where Tom Hanks plays a FedEx employee stranded on an uninhabited island after his plane crashes in the South Pacific, and he gains like 50 pounds and waits for someone to find him, and his only companion is a volleyball named Wilson? It's kind of like that. How many times have you played CMJ? This will be my second year. You have gotten notice from some wellknown New York media such as VH1, Logo TV and TimeOut New York along with a number of national outlets. Has it sparked any label interest? A little, but no one that's offered me anything more than I already do myself. If and when the right one comes along, I'd certainly be open to it. At this year’s CMJ one of our hopes is that those who attend can wrap their arms around some new music and give the new guys some love...and we’ve got some arms for you to wrap around. Meet ARMS, Comprised of Todd Goldstein and Tlacael Esparza, ARMS released their 2nd EP entitled EP2 in September after a hiatus of self-discovery and a new found love of writing music. Before Todd takes the stage at CMJ music marathon on October 18, we had the chance to get a one on one with him on what made him step away from music for that time to what makes EP2 so special to him. Why not take a listen? Wrap your arms around Arms! On September 10, you guys dropped your second EP simply entitled EP2. After stating “everything I had into [the first] album” how did you come to create this album without rendering yourself creatively dry? What does EP2 mean to you in comparison from the last album? Well before I started work on the new EP, I definitely felt creatively dry. I’d basically emptied my giant bucket of ideas into Summer Skills, and was so tired of music — both the making thereof and the industry side — that I just decided to give up on it for a good year or so. I started grad school, read a lot, spent time with my girlfriend and just sort of recharged and gave myself a break. After a while though, the itch sort of inevitably came back, and I started very slowly, carefully writing new songs. I felt like I had to learn how to write again — it was this mix of naivete and knowingness that I hadn’t dealt with before. We recorded everything ourselves, didn’t overthink it and just tried to make something honest and fun. I basically got sick of being a selfproclaimed “artist” about everything. Now I’d like the art to be almost incidental, like an inevitable byproduct of trying to just make something. After all that time off I just realized how important the making part is important to me...as opposed to the product. away from music to dabble in other creative projects including going back to school for design. What was the reason for walking away from the music? How do you feel that helped or hurt you in your musical creative process? During that time off I started grad school for graphic design, which might have been the best decision I’ve ever made. Something of it came from a place of desperation, initially — I really just wanted to be interested in anything other than music — but as it happens I’ve been drawing and creating my whole life, and design has proven to be a pretty logical extension of that. It’s definitely opened up and relaxed my creative process musically, too. I’ve stopped feeling like every song I write could be my last. I’ve been doing this long enough, and have taken on enough other creative endeavors, that it’s become clear that as long as I start something (the hardest part, always) I will inevitably finish it. Now writing songs is like flexing a muscle, instead of, I dunno, pulling my own teeth out with rusty pliers. I’m way happier now, as you can imagine. this uncommonly smart children’s book written in the early 60s which just had its 50th anniversary.The documentary is about the books creation — it was written by these fantastic dudes, Norton Juster (author) and Jules Feiffer (illustrator), and has become one of those totemic books for a lot of people, myself included. The director happened to be a huge ARMS fan and requested a couple of songs for the soundtrack. I am genuinely honored to be involved with this movie. It’s opening at the New Yorker film festival this month and hopefully will have a long life afterwards. Moved me almost to tears. The ARMS sound seems to be a 180 from the sounds you’ve created with your former band The Harlem Shakes. What was the reasoning behind taking your new sound in a different direction? In Harlem Shakes, I was just the guitarist in a five-member band where everyone was contributing something all the time. When we played together, the sound ended up being what you’ve probably heard— big, bouncy, exuberant, kind of nervoussounding pop music. Since the beginning, though, ARMS has been my show alone. I loved playing guitar in a band like Harlem Shakes, and I was always proud of and excited about our music, but it wasn’t even close to the music I liked making on my own, which was way more moody, atmospheric, melancholic. It’s funny though, because I think the newest ARMS EP is the closest thing I’ve done to a Harlem Shakes record since Harlem Shakes. I’m inching ever closer to making big, upbeat pop tunes...maybe the next record? What do you hope to get out of your experience at the 2013 CMJ music marathon? Man, I’ve done so many of these things! I don’t know, play a bunch of shows! Maybe meet some fans I’ve never met before! Make some new ones! See some of my friends’ bands! And hell, you never know: maybe if I’m lucky the President of Music will be in the audience and hand me a giant check. The best sounds, visions, words and voices are right here. ou might remember Wilderness from 2009, but that was back when Lapland was using his real name, Josh Mease. His newest release, a selftitled debut under the new moniker, Lapland, will be released in the UK and the US in February 2014. The first single, “Unwise,” has been released in the UK accompanied by a music video. A release in the States will follow shortly with Lapland himself stating, “Sorry, all you Americans have to wait.” Patience is not one of our virtues, Josh. Growing up in Houston, Josh loved rock and country music, which eventually developed into jazz. He began studying jazz guitar after being influenced by such musicians as Miles Davis and Herbie Hancock. After moving to Brooklyn, he started writing and singing his own songs, earning fans in indie circles, as well as jazz, R&B, and classical. A mixture of influences can be found in his music, ranging from 60’s and 70’s synth to Fleetwood Mac to French Impressionists Ravel and Debussy. The new name, Lapland, was selected after Josh’s wife brought home a used 70’s book entitled “Lappland Wanderland” that contained transcendental landscapes. The $2 find seemed to parallel his new album and the book’s title resounded in his mind; the English version, “Lapland”, seemed appropriate and was available, so he adopted it as his own. Even though he lives in New York, Josh is a solitary type of guy, who finds comfort in his own mind. He rarely engaged other musicians during the recording of Lapland, only using drummer Brian Wolfe and friends Robin Macmillan and Bill Campbell. 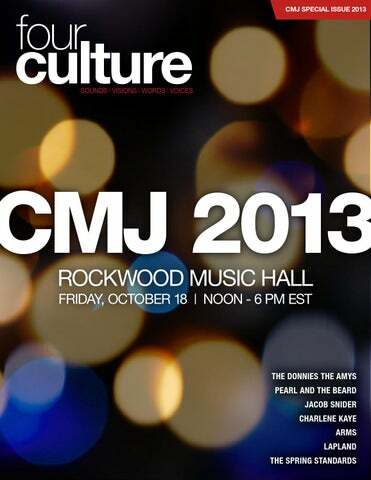 Lapland is scheduled to play Rockwood Music Hall’s Stage 2 during CMJ’s Music Marathon 2013 on October 18. Look for him there and look for his new album in February. Your first album, Wilderness, was released in 2009 under your given name, Josh Mease. In another interview, you mentioned hesitation in releasing material under your name, hence the change to Lapland. You also mentioned that you had several names selected, though none seemed appropriate. What were some of the runner-ups? Maybe I'm not remembering correctly, but none of the others were ever serious contenders. I thought about using a couple of my song titles as band names (e.g. "White Wave" and "Strangers"), but those names were taken. I'd probably have just kept using Josh Mease if Lapland"wasn't available. Before writing and singing, you grew up playing jazz music. Who were some of your influences as a young jazz musician? What is your favorite kind of music to play? My big influences were Wayne Shorter, Dexter Gordon, Miles Davis, Joe Henderson, Herbie Hancock, and lots of others. I wouldn't say I have a favorite kind of music to play — I think it's nice to keep changing it up. I like working on my originals, but I also like doing sideman gigs on different instruments with different line-ups of musicians. The style is not so important. Being a solitary kind of guy, what is it like living in one of the most populous cities, New York? Do you have any fears that you must overcome when on stage? New York can be pretty hectic sometimes, so I think it's important to get out semi-regularly to preserve one's sanity. It's good to be reminded that most of the rest of US lives a pretty different existence. My biggest fears on stage usually involve looking like a fool (i.e. screwing up my songs, or slipping and falling etc). “Unwise” and “Aeroplane” are two personal favorites from your new self-titled album, Lapland. “Unwise” has an almost dream-like, outer space sound, while “Aeroplane” is filled with such soulfulness. What are your favorites from the recording? I personally like the way "Overboard" and "Drink Me Dry" turned out. They weren't too difficult to record, and they sounded like what I originally heard in my head. I also like "Unwise" because it came about pretty spontaneously and surprised me. The CMJ Music Marathon is a big deal; in fact, it is one of the world’s most important platforms for the discovery of new music. Is this one of the larger events you have played? What are you expecting from this experience? I wouldn't say that playing at Rockwood stage 2 is one of the biggest events I've played. Perhaps if I were playing for all of CMJ's attendees at one giant show, it would be. I'm excited to share the stage with some other great bands, make some new friends, and hang out with the great folks from Ear Candy…oh yeah, and sign a multi-million dollar recording contract. Chances are that you may have heard of The Spring Standards. If not, sit down and pay attention. Formed towards the end of the 2000s, The Spring Standards are a three piece folk rock outfit from New York City comprising of James Cleare, Heather Robb and James Smith, all singer songwriters in their own right. Their first EP, No One Will Know, was released in 2008 which earned them a spot on Late Show With Conan O'Brien. 2010 saw the the release of their first album, Would Things Be Different. A second album, Yellow/Gold, soon followed in 2011 which was produced by Dan Molad. But dont take my word for it. Come on down to the CMJ event and listen for yourselves. Chances are you will fancy listening to them again when you get home. Who are your major influences? Our influences are all over the map but what initially drew us to one another was our shared love of music from '60s and '70s, from songwriters like Neil Young, Jackson Brown and Joni Mitchell to bands like CSN, Mamas & the Papas, The Zombies, The Beach Boys. We're very inspired by our contemporaries as well, but that was the music that first planted the seed. What is your creative process like? All three of us are songwriters so our creative process usually starts with one member bringing something they've been working on to the group. From there we do most of the vocal and instrumental arranging together, it's very collaborative and experimental in those early stages. Playing live is a very important part of our creative process as well, because an audience can really help us determine what works and what doesn't. Then of course the studio becomes the magical laboratory where everything you've learned can come together to create a recording that captures the most important parts of what you've made. Oh, and we argue a lot, but in a good way – that's a very important ingredient as well. How much are you looking forward to the CMJ event? What do you hope to get out of this experience? We couldn't be more excited about the Ear Candy & HMG PR event at Rockwood. They have put together such an exciting group of artists and managed to snag one of the best venues in the city – it's a winning situation from top to bottom. We're really just hoping for a great day of music and togetherness, which is pretty much guaranteed. What can we expect in your set list? What do you want people to get from your shows? Well, we've definitely gotta bring our A-game – you can't be on a bill with bands like this and do anything less. We'll be playing a lot of material from our album that came out last year, Yellow/Gold, and we're also hoping to premier some brand new material. Rockwood is such a versatile room, you can go from a quiet acoustic number to a rowdy rocker and the audience is right there with you. We love the opportunity to span that spectrum. What are your plans for the rest of 2013 and beyond? We're touring with a great band from Boston called You Won't through the midwest and Canada in November, then a handful of shows around home in December. Mostly we're focusing on editing our first live DVD, which is due out early 2014, and writing new material.